"He likes mushrooms and peppermint candy floss (which is very hard to find! ), his hobbies are baking cup cakes, collecting paper clips and going out on his longboard. When he's happy, he blows colourful bubbles out of his feelers. Interesting fact: one of his wings is shorter than the other one so he's really good at doing left turns. His biggest fear is escalators." My dragons name is Amethyst. She likes flying around looking for people who either need help or people who want to look at her gracefully flying above. Her favourite food is dragon nipp which is a type of salad. My dragon changes colours depending on mood. If she is feeling fine she is purple, if she is sad she is sapphire blue, if she is angry she is red and if she is sick she is green. Her favourite thing to do is help people learn and rewarding gems to children who have been well behaved. Hobbies: Flying with his owner. Interesting fact: One day he flew through lightning by accident, that's how he got his pattern. 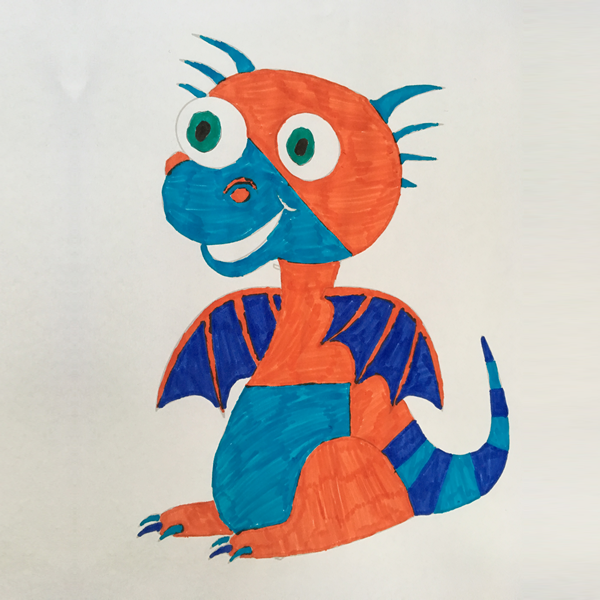 This is Diogo Dragon. His favourite food is pasta with Parmesan and he is a black belt in dragon karate. Diogo speaks Portuguese. He protects monkeys in the jungle. We've included a selection of other entries below. If your design isn't featured, we're really sorry, but we just couldn't include all of them as we had so many brilliant ones. Well done to everyone who entered and hopefully we'll see more of your designs in our next competition! 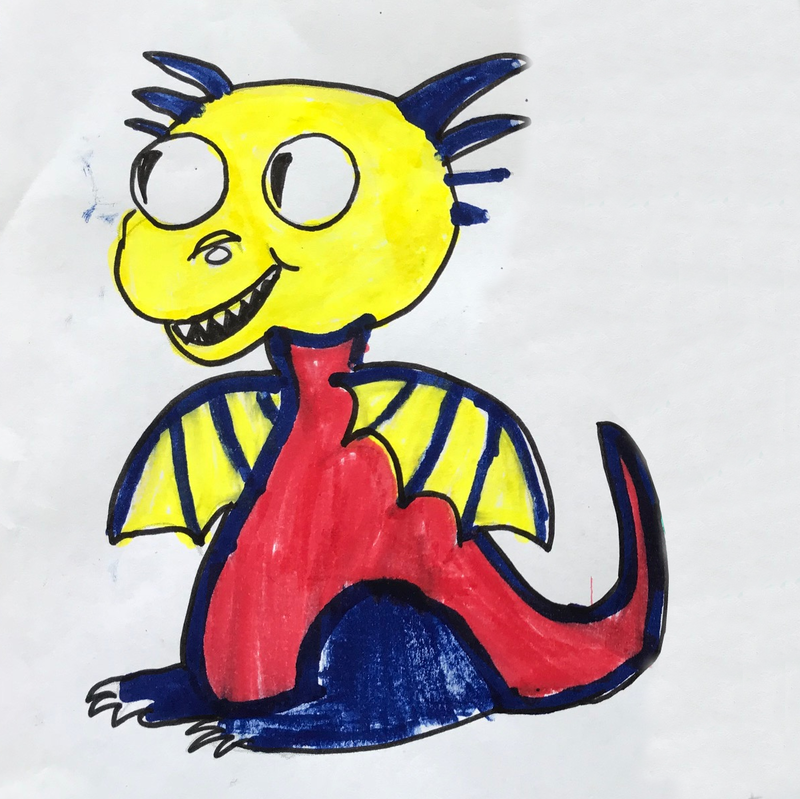 * Please note - if your dragon description contained brand names for other products / companies / computer games etc. then we have had to remove them as we can't use those on our website. Description: Ashie likes trampolining and cheering people up. His favourite food is hash browns (with baked beans). Ashie likes caramel and Marmite mixed together! He has recently been voted “most hyper dragon in Squeebleland! Thank you Holly - you've just given us a new recipe idea. We'll be having caramel and Marmite for dinner this evening... great design by the way and no wonder he's hyperactive, with that diet! 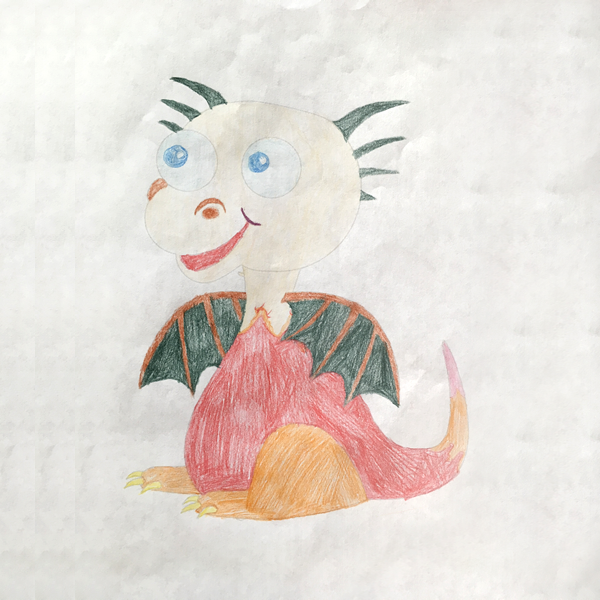 Description: Lightning is a baby dragon who is learning to be brave. He is obsessed with flying, however he is afraid of the dark. His favourite food is carrots, to help him see in the dark. We thought Lightning was seriously cool. A brilliant design, wonderful colours and we loved that Lightning was learning to be brave. What an awesome dragon! Well done William. 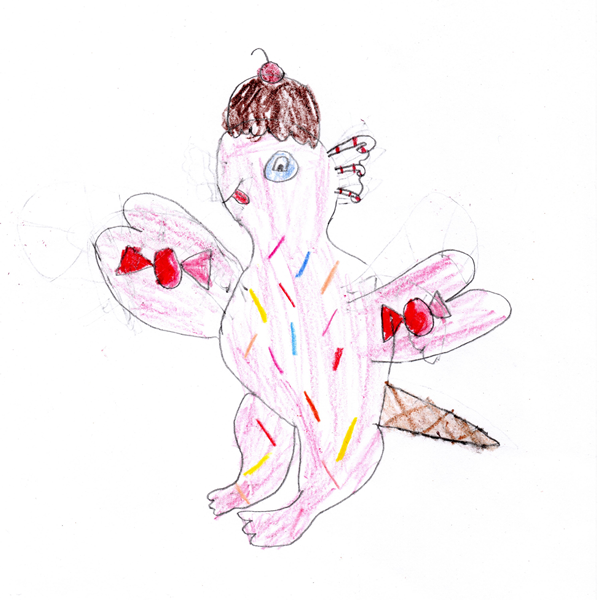 Description: Swirlee likes singing and baking gingerbread dragons. Her favourite food is curly pasta with fiery sauce on top and she likes toasting marshmallows with her blazing fire. 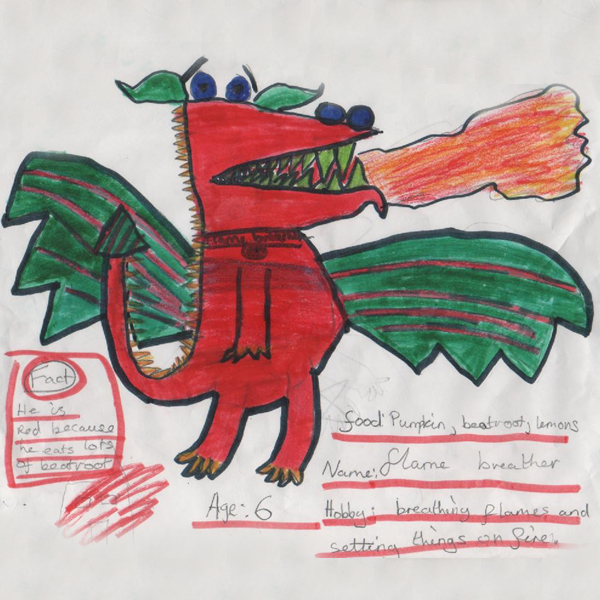 Curly pasta, fiery sauce, gingerbread dragons... sounds like our kind of meal! Amelia - the colours you chose for Swirlee were perfect and we loved the swirls all over her and her heart-shaped eyes! Description: Trint's favourite food is bubblegum flavoured ice cream. It turns her tongue blue when she eats it. She has got red "fire-spots" on her body. Only baby dragons have fire spots and it helps them learn to breath fire. Trint is a friendly Dragon and loves being tickled. Her hobby is cooking and baking cakes. And she loves eating cakes too of course. 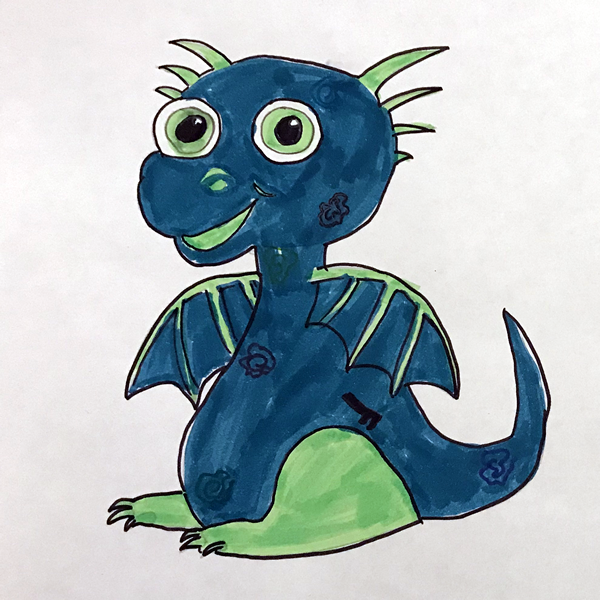 Trint was one of the most colourful dragon designs we received and we really liked how well thought out Trinity's dragon description was... only baby dragons have fire spots - we'll remember that fact! Well done! Description: His name is flame. His favourite food is pasta. His favourite pudding is apple crumble. His favourite drink is blackcurrant juice. His hobbies are football and rugby. An interesting fact is that he can run faster than a cheetah. Outstanding drawing Joe - we thought Flame was brilliant. Love the colours you've chosen and the fiery background. I'd definitely want Flame on my football team with that speed and those fire-breathing skills. 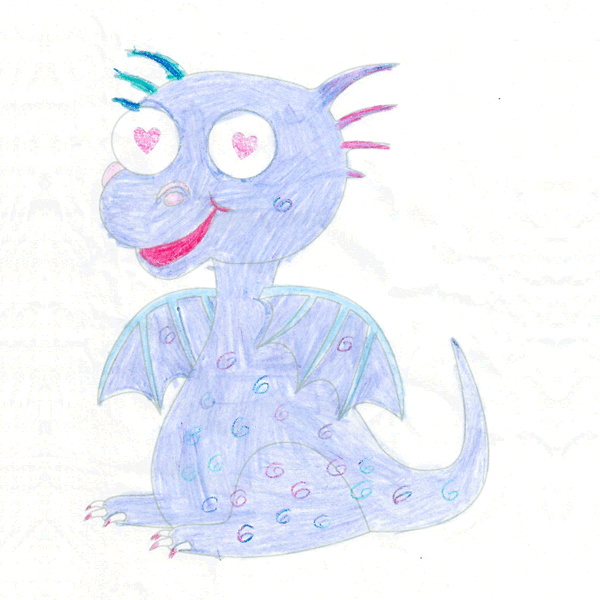 Description: My dragon's name is Kyomi and she likes to eat flower petals and beeswax. Kyomi’s hobbies include having barbecues with the fire from her mouth, and playing with her friends at afterschool club. 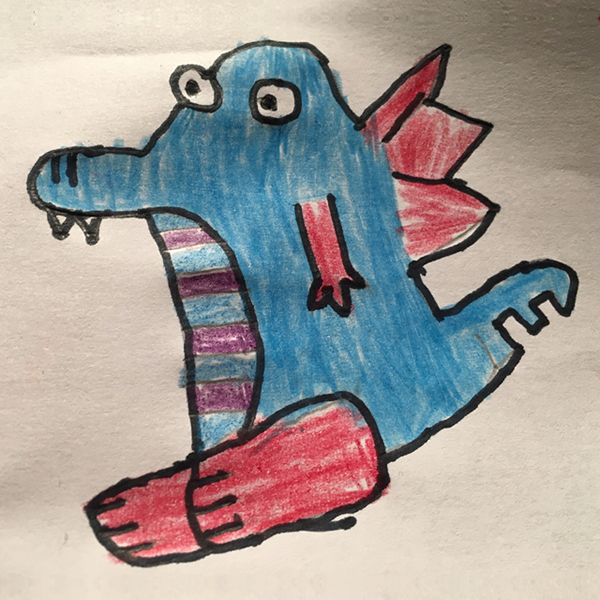 A fun fact about Kyomi the Dragon is that she is 150 years old, she has 17 brothers and sisters and she used to be a Hamster and because of this she can run very fast in a Hamster wheel. What an amazing description from Kyomi! 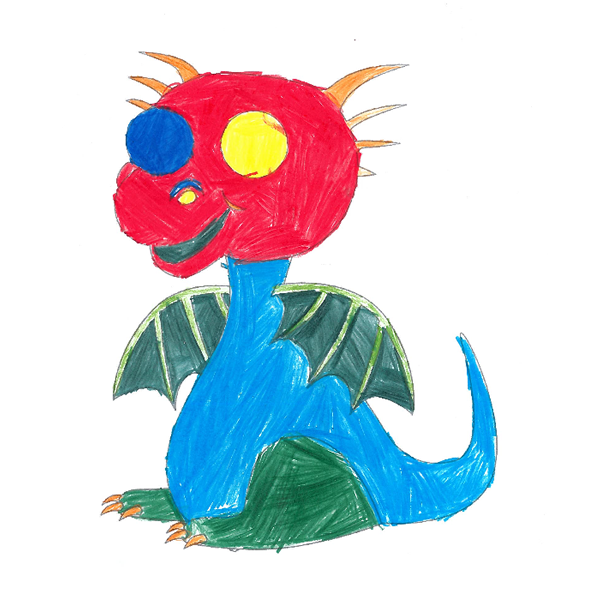 A dragon that used to be a hamster - brilliant. Inspiration for hamsters everywhere who dream of bigger things and what a lovely drawing. Well done Kyomi. Hobbies: breathing flames & setting things on fire. Favourite food: pumpkin, beetroot & lemons. Interesting fact: he is red because he eats lots of beetroot. 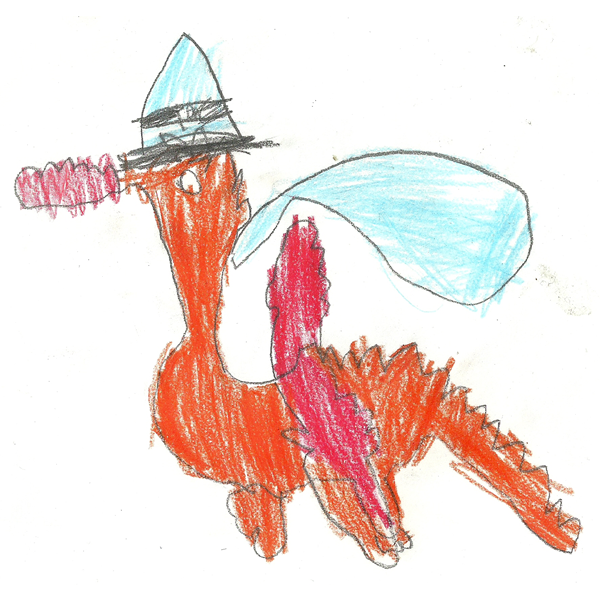 This was one of our favourite drawings - Becca's dragon has so much personality blazing out from her picture. We didn't know eating too much beetroot turned you red though... I'll have to watch out! Facts: Fire is a very sporty and happy dragon. He has laser eyes and shoots fire from his belly. Wow - Fire must have a very tough mouth to be able to eat stinging nettles and holly! Although maybe those laser eyes mean he can zap the spikes off the holly before he eats it. Great drawing Lucas - well done! Description: Sprinkles loves baking up one thing and mixing it with another. She's always whipping up crazy combinations. Her latest combination is cake with pie! She calls it Cake-pie. We love the mixed-up food theme going on here. A dragon with an ice cream cone for a tail! And we are absolutely going to be making cake-pie for dinner one night this week. Wonderful drawing Marisa - and a very original description. Facts: It can fly. It can make people laugh. Likes to play Rock, Paper, Scissors. 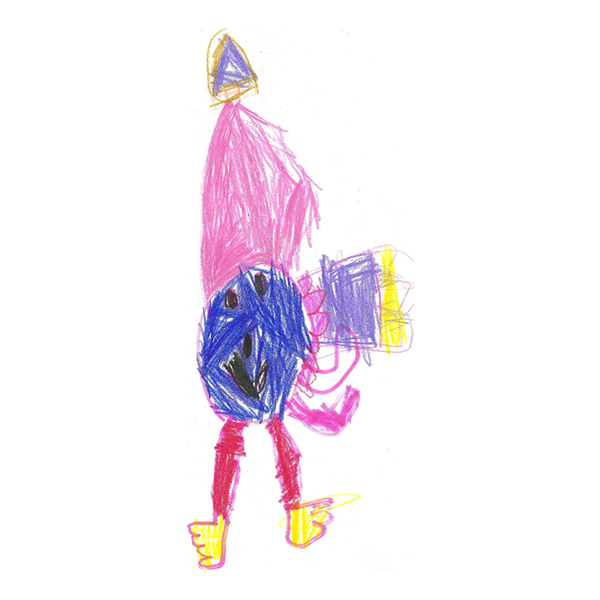 Elizabeth's drawing has so much personality and we thought her choice of bright colours was perfect. Hide and seek and rock, paper, scissors - two of the best games ever! Hanging out with Wragon would be great fun! Facts: Likes to play pranks on people to cheer them up. Comes from the planet Wizz. Wizzon sounds like a dragon with a heart of gold and a bit of a mischievous streak - a great combination in a friend - fun AND kind. 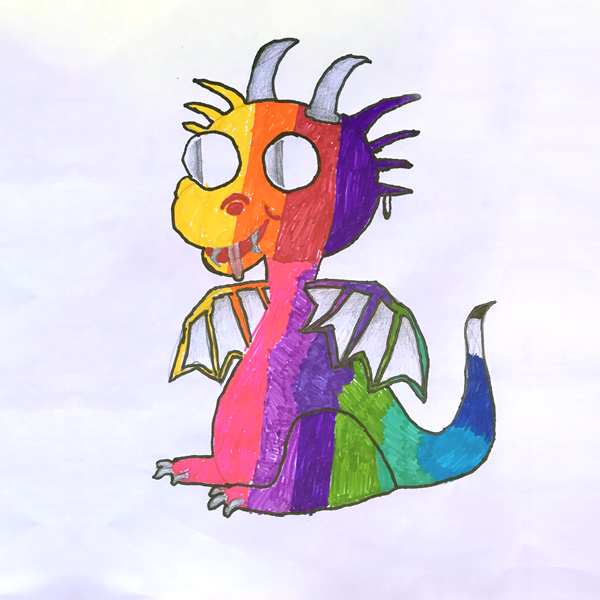 Brilliant drawing and of course, rainbows taste amazing to dragons, so good choice as a favourite food! Facts: When Dragsaur gets happy it changes to rainbow colours. 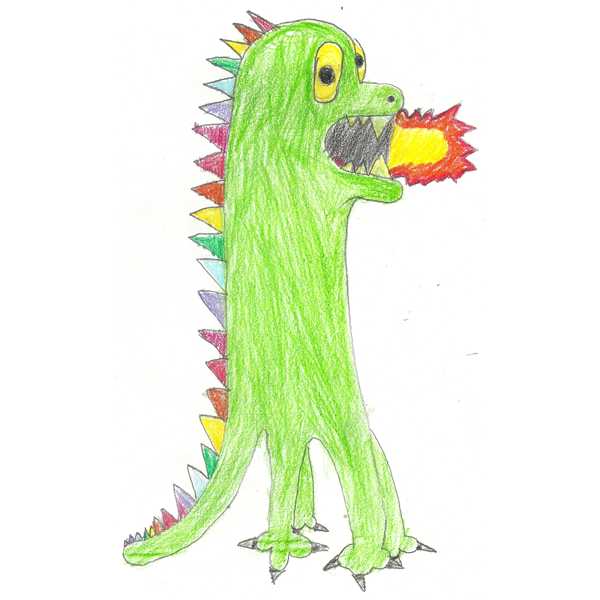 Dragsaur is a cross between a dragon and a dinosaur. 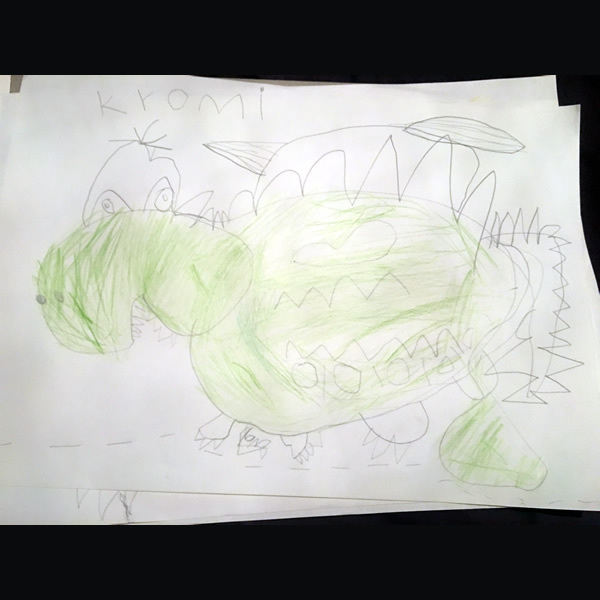 Dragsaur made us smile as soon as we saw Emilia's drawing. 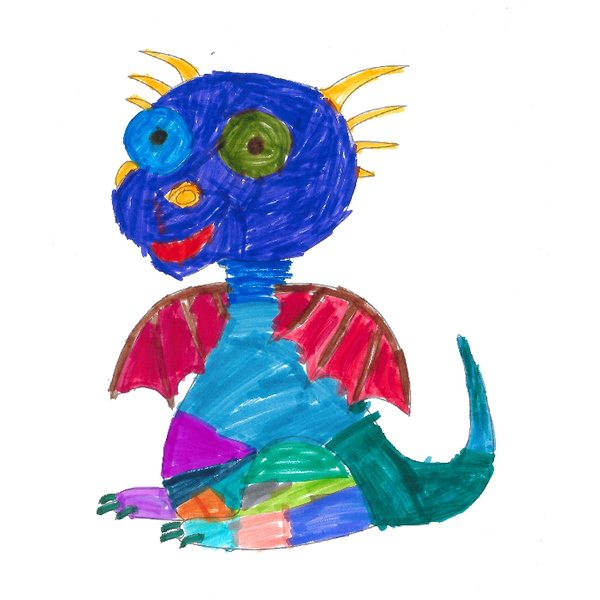 One of our absolute favourite dragons, we loved how kind Dragsaur looks and the multicoloured spines were beautifully drawn. Jacko's favourite hobby is keeping bees. He also likes racing against his friends around the tops of trees. His favourite food is honey, of course, and seaweed sushi. When he is happy, parts of his tail glow red and the tips of his wings glow gold. Beamer loves to fly up and around the mountains. Beamer mostly does dangerous things but is actually a very sweet and gentle dragon. He hates snow as it dies down the fire inside of him and this means he is not a fire dragon any more until he gets a lot warmer. We're intrigued about what dangerous things Beamer does...? 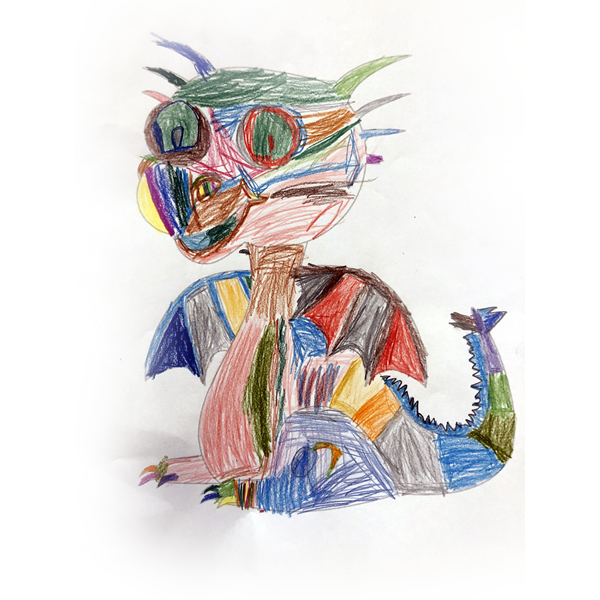 A dragon who sounds like he's very kind and a lot of fun, we loved Maddison's colourful drawing and interesting description. Brilliant! Hobbies: He likes playing on his computer and playing tig in the woods. He's good at playing hide and seek because he can hide behind trees and fly up. 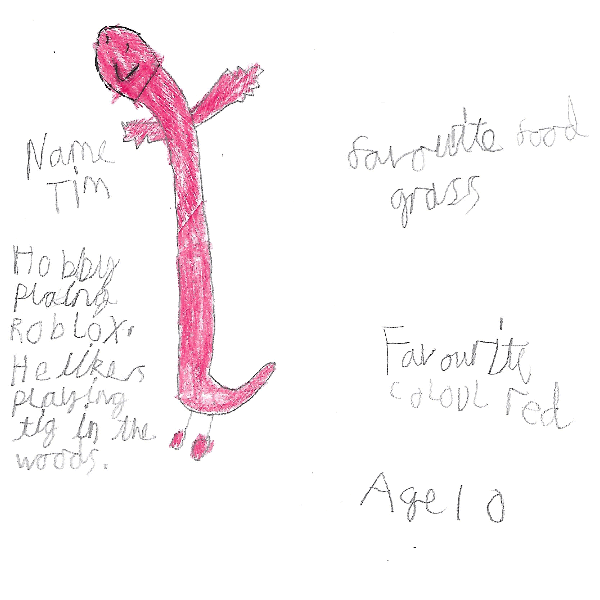 Tim definitely looks like he could hide behind trees very well because of his shape. Would his wings poke out? Maybe he'd hide them behind himself... We really liked how happy and cheerful Tim looks. Well done Tom! Hobbies: gymnastics - she practices every day so she can get better. She's really good at it and never makes mistakes. Laura's dragon is quite special because (and not a lot of people know this) dragons usually find gymnastics very difficult - they often set fire to their own feet when they do cartwheels!! It's true! Just goes to show, that even if you aren't finding something easy, if you practice, you can do anything. 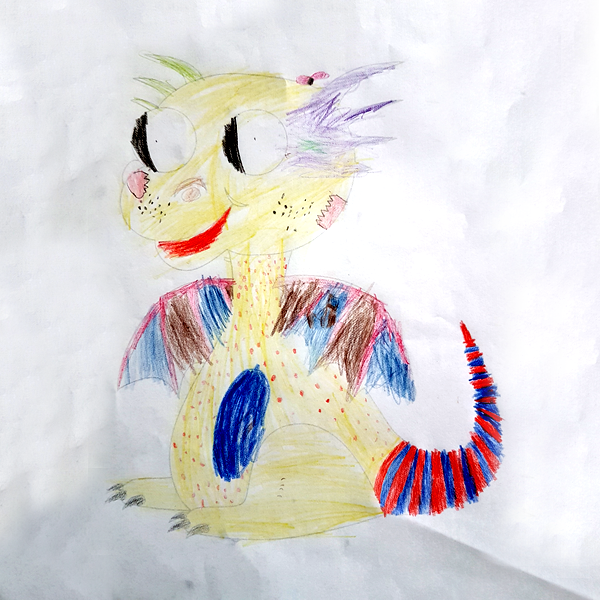 Well done Laura - a beautiful design and a great dragon! Hobbies: finding stuff people need. Interesting fact: he is so cuddly. 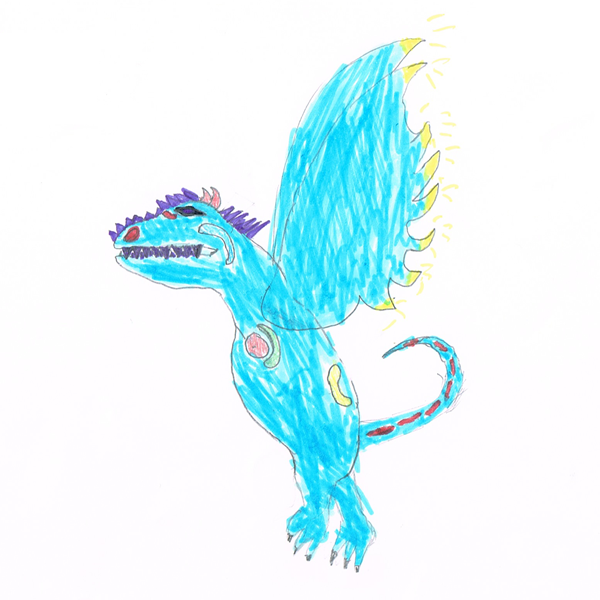 We should mention that Tessa designed us 19 dragons, which was amazing. All of them were brilliant designs, but we've included Lost and Found because he was our favourite. We loved the colours Tessa chose and that Lost and Found eats left over bananas. We have quite a lot of left over bananas, so he can have ours! Hobbies: searching for gold at the end of rainbows. Interesting fact: his colour fades as he grows up. 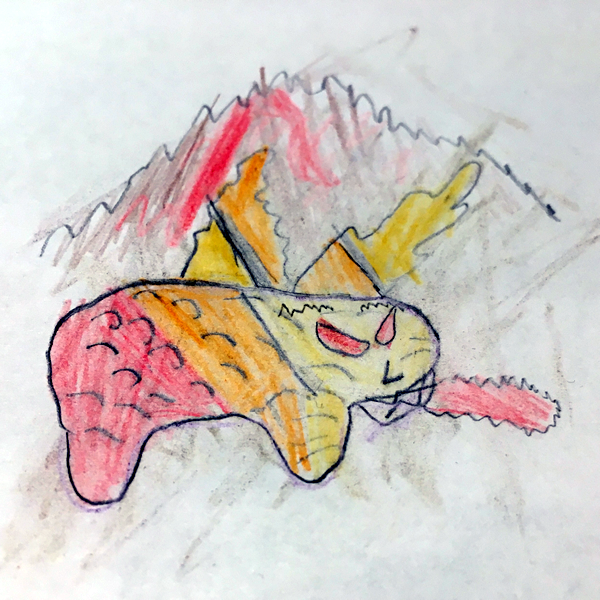 Bat likes to breath fire, and toast marshmallows with his fire and share them with Squeebles if they are his friends. Bat also likes to go swimming and warm up the pool for his friends with his fire. Brilliant! We thought Bat warming the pool up for his friends was a fantastic idea. Sometimes when we go swimming it's really cold, so we might invite Bat along next time and see if he can help! 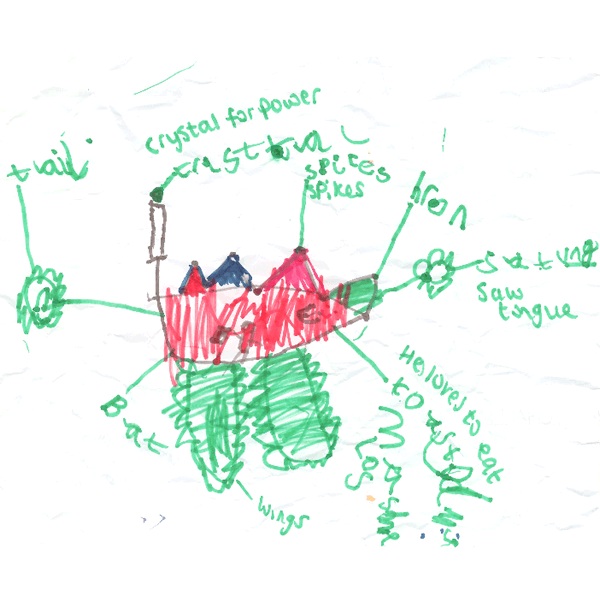 What a good drawing Adam - thank you for sending us Bat - we think he's great! Facts: Flame is very sporty and breathes fire when he’s happy. His super power is shooting poison. Any dragon that likes curry is a going to be a favourite of ours. 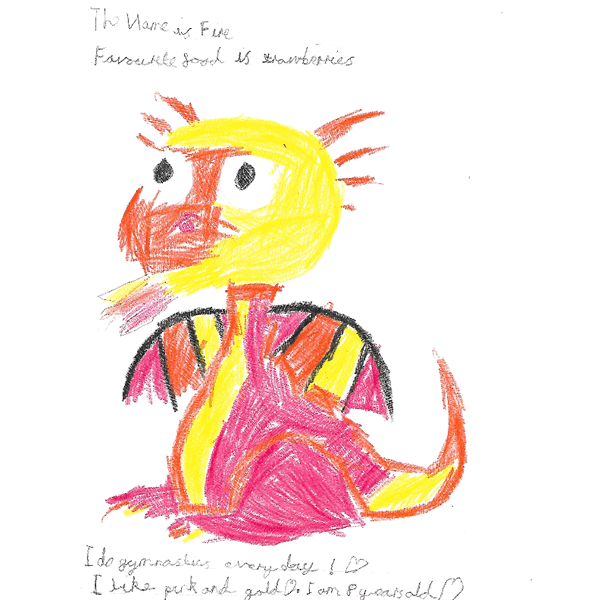 Flame sounds like another potential recruit for the Squeebles football team, but we're hoping he doesn't shoot any poison at the opposition (or his team mates)... we loved Zac's drawing and the bright colours he used. Well done! This is Sluggy. His favourite food is broccoli and Christingle oranges. He likes to practise backflips and dragon yoga. He lives in China high in the mountains. Sluggy sounds like a very relaxed, calm dragon. A lot of dragons do come from the high mountains of China, but they're very hard to spot because of their camouflage. We think maybe that Sluggy would be slightly easier to spot as he's very brightly coloured, which we love about him. Brilliant imagination and wonderful drawing Oscar - well done!! Simmer's favourite food is oranges, his hobby is sunbathing and he is the size of a pea! Below are the original terms and conditions of entry, that we're keeping online for reference. "The Entry" - this refers to the drawing, character description and any other information submitted as part of your competition entry. "The Entrant" - this refers to yourself and your child - the people entering the competition. I understand and agree that the copyright / rights to the digitally created version of the enclosed entry (The Entry), any artwork inspired by The Entry and any character description or personality information linked to The Entry will be owned by KeyStageFun (Tiny Spark Ideas Ltd.) for potential use in the Squeebles series of educational apps and in any promotional materials for KeyStageFun and their products. The Entrant will be credited if they are selected as a winner or runner-up within the app that features their design and on the KeyStageFun website for at least one month after the announcement of the winning entries, but not in any further places where The Entry is featured. Only their first name and age will be used in any credit. I understand that neither The Entrant, nor their school/family, will receive any financial gain from the sale of any product featuring The Entry. KeyStageFun take privacy seriously and will ONLY display first names and ages of entrants on our website or anywhere else publicly accessible. No surnames or other information that could be used to individually identify any child will be included anywhere on our website or other online channels. Unless the Entrant's parent, guardian or teacher expressly states otherwise, their details will not be automatically added to our mailing list. The Big Draw will only be passed the first name and age of any entry they wish to feature. The prizes shall be offered as described and cannot be swapped for any other prizes. If the winner is from outside the UK, the value of book tokens will be calculated as the equivalent of £50/£25 GBP, based on the exchange rates at the time we announce the winners, and will be paid in the form of Amazon vouchers. I understand that any similarities between any future characters created by KeyStageFun and non-winning entries are purely coincidental and in no way based on The Entry. The closing date for the competition is midnight on November 4th 2018. Any entries received after this date will not be accepted for judging. The Big Draw terms and conditions can be found on their website - https://thebigdraw.org/terms-and-conditions. We will not pass entrants' contact details to The Big Draw, with only the first name and age of The Entrant being displayed by either us or The Big Draw if they choose to feature The Entry. That's it for all the boring official stuff. Have fun!! !